Pleased to announce a new major version of Jaikoz, this release contains many improvements, fixes and some significant infrastructure work. DSD is a technology first used with Super Audio Cd's (SACD), it uses pulse-density modulation encoding a diffierence approach to other lossles formats like WAV and AIFF. The signal is stored as delta-sigma modulated digital audio; a sequence of single-bit values at a sampling rate of 2.8224 MHz (64 times the CD Audio sampling rate of 44.1 kHz, but only at 1⁄32768 of its 16-bit resolution). DSF is a way of storing this format in files with metadata and is gaining in popularity on hi end audio systems. Jaikoz fully supports DSF, including acoustic fingerprinting and all metadata fields. 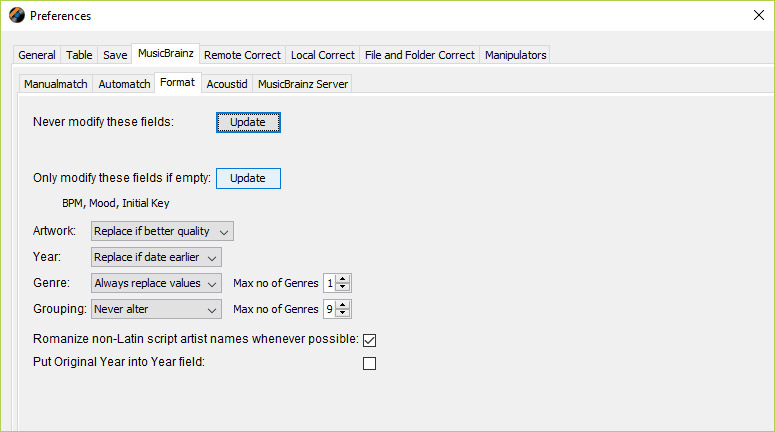 Previously most fields had their own option that allowed you to configure Jaikoz to always modify, modify if empty or never modify the field, and the option was repeated for MusicBrainz match and Discogs match. 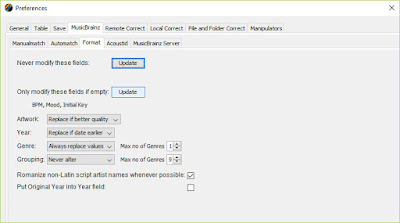 But it was very cumbersome if you suddenly wanted to change the option for a number of fields. 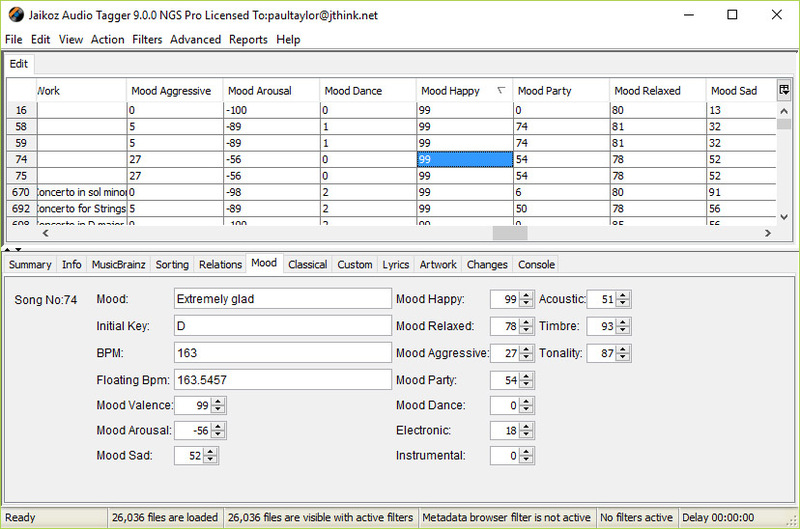 We have now replaced by a list of fields that you can easily modify for each option. Jaikoz now supports many new fields including many new Classical fields, these Classical fields are all visible on the Detail tab. 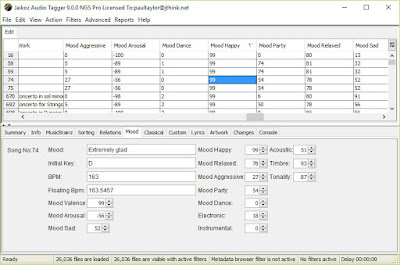 Auto population of the new Classical fields can currently be done with SongKong but will be added to a future release of Jaikoz. Grouping field no longer working in iTunes ?